Migration from SharePoint 2010 to SharePoint 2016, via SharePoint 2013 – Based on Native Approach. 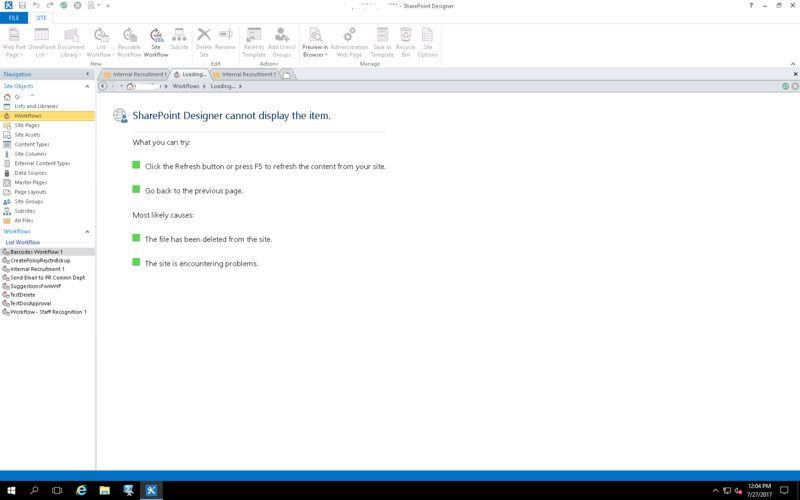 When workflow is opened in SharePoint Designer, it goes for crash screen as below. Open SP Designer, such that go to: All Files >> Workflows >> target workflow. You will see following files related to Workflow, Open file with .oxml such that use : Open with: SharePoint Designer (as Text). Now open workflow again. the crash screen, will not appear. 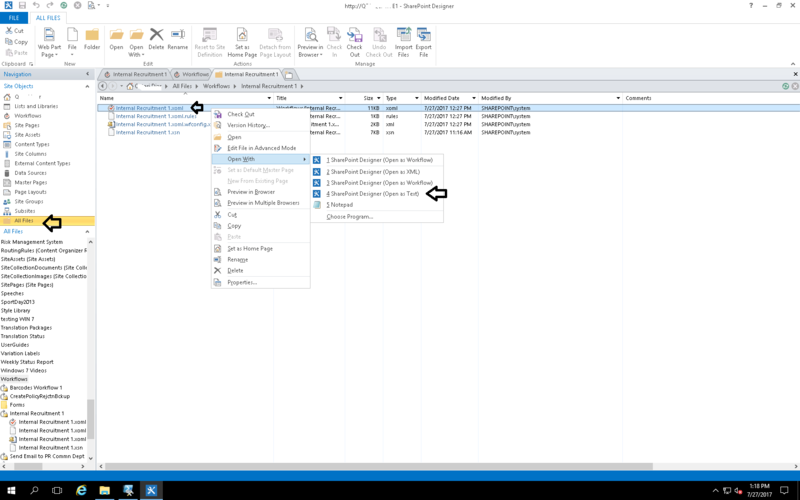 Also delete SharePoint Designer cache at following location. 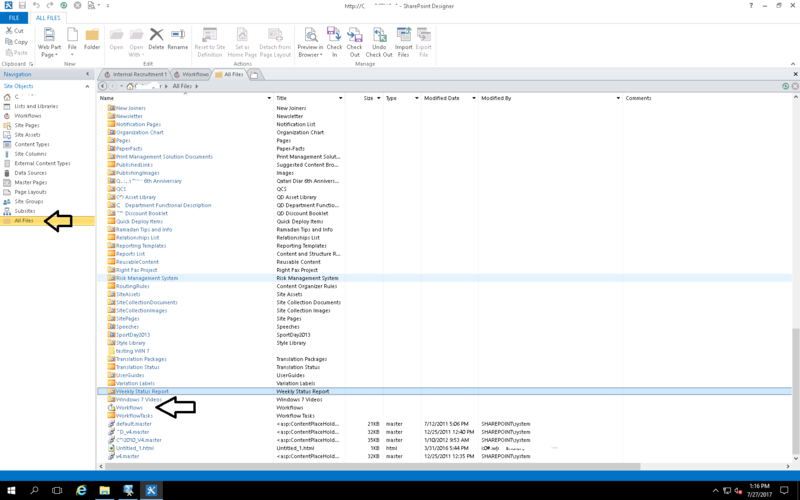 After migration from SharePoint 2010 to SharePoint 2013 , to SharePoint 2016, search does not work. AdvancedSearchBox class encountered unexpected error: System.NullReferenceException: Object reference not set to an instance of an object. at Microsoft.Office.Server.Search.Query.ConsumerScopeCache.GetScopes() at Microsoft.Office.Server.Search.Query.ScopeCache.GetSharedScopes() at Microsoft.Office.Server.Search.WebControls.AdvancedSearchBox.GetScopeEnumerator(ScopeInformation& defaultScope) at Microsoft.Office.Server.Search.WebControls.AdvancedSearchBox.CreateScopeRows(Table parentTable) at Microsoft.Office.Server.Search.WebControls.AdvancedSearchBox.CreateScopingSectionChildControls(Table parentTable) at Microsoft.Office.Server.Search.WebControls.AdvancedSearchBox.CreateChildControls(). verified that the SharePoint Web Services site existed in IIS, and that SecurityTokenServiceApplication existed as a virtual directory. Created new Search Service application and changed the association. Run SharePoint configuration wizard again. Finally, issue was related to time difference b/w application server and Web front end. They were in different time zone. Fixed time zones, all above exceptions solved. The file / does not exist. Exception Details: System.IO.FileNotFoundException: The file / does not exist. [FileNotFoundException]: The file / does not exist. [HttpException]: Exception of type 'System.Web.HttpException' was thrown. 1. De-activate, active publishing features. Go back to old version of master page (2010 migrated one), everything start working. When a master file is changed, it is saved in content database internal tables with all elements like web parts. Slowly check which tag of master file in newly created master file is crashing, remove that element of master file…..so problem is master page content, un-expectedly, a lot of site settings stop working. Click here for presentation download. You are currently browsing the archives for the SharePoint Migrations category.